John Lloyd and Sarah Geronimo fans rejoice as their very successful love team up for movie as the lovable characters of Miggy and Laida. "It Takes A Man And A Woman" is the third intallment to their loveteam which started with "A Very Special Love", the followed with "You Changed My Life" and both movies were box office hits. The team up may have been doubted at first, as it was Sarah and John Lloyd's first team up together and fans are still clinging to the Bea-John Lloyd chemistry. 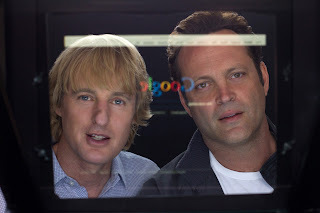 The first two movies prove that they have succeeded in winning the hearts of viewers with their unique style of romance comedy. Celebrate Easter Sunday Party at SM City North EDSA! 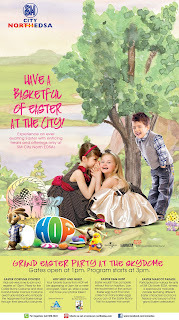 Easter is just around the corner and what great way to welcome the festive celebration at SM City North EDSA. Celebrate a GRAND EASTER PARTY with us at the SKYDOME on March 31! Gates will open at 1pm for our Easter activities, join our Easter Mascot Parade at 2:30pm, and participate in the HOP Race and a giant bubble show at 3pm. Get a chance to Meet & Greet our favorite Hop Character, register and come in your cutest Easter costume, and join the excitement on our annual Easter Egg Hunt at the Skydome. GMA Network’s top-rating Pinoy version of the hit Koreanovela Temptation of Wife concludes its run with a heart-stopping finale week from April 1 to April 5. 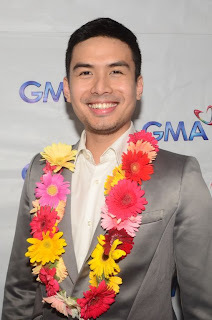 The series is regarded as one of the most watched programs on GMA Telebabad, consistently posting high numbers in the ratings game since it began airing on October 29, 2012. The entire cast led by Marian Rivera, Dennis Trillo, Glaiza de Castro, and Rafael Rosell together with Rio Locsin, Raymond Bagatsing, Michelle Madrigal, Antonio Aquitania, Ayen Munji-Laurel, Bettina Carlos, Rez Cortez, and Ms. Cherie Gil delivered commendable portrayals of their respective characters that hooked viewers from start to finish. Viewers are eagerly looking forward on how the Pinoy adaptation of the series will conclude especially the fate of the characters of Angeline, Nigel, Heidi, and Marcel. Boyle, whose worldwide acclaimed works “Slumdog Millionaire,” “Shallow Grave,” “Trainspotting” and “127 Hours” that covered themes such as triumph of the human spirit despite abject poverty and reality brings a new kind of thrill in “Trance.” Boyle crafts a wildly twisted mind puzzle exploring identity, madness and perception using the altered state of hypnotic trance. 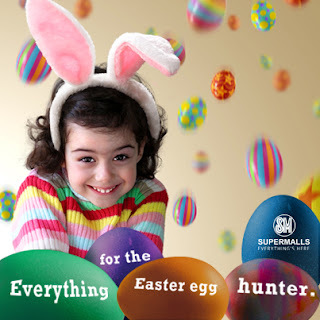 Customers who will troop to any SM mall nationwide this coming Easter Sunday, March 31, will be treated to various fun activities for the whole family as SM Supermalls holds a grand celebration dubbed “Easter Carnival”. SM malls are especially decorated for sight-seeing and photo opportunities, with giant Easter installations available for the public to enjoy. Green is definitely the color of summer, as Tropicana Coco Quench, the first locally produced coconut water in a Tetra Pak packaging, ushers in the summer season at TripAdvisor’s 2013 Best Asian Beach, Boracay. 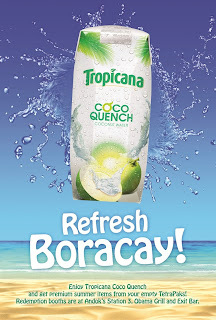 Right at the glistening white and powdery shores of the island, Tropicana Coco Quench will be holding several activities that will take off on March 27 through the 31st. Selling and redemption booths are scattered along the three stations, and with a strong push for recycling products, Tropicana Coco Quench will give out essential summer items in exchange for empty Tetra Pak packages. March 30 marks the Green Saturday event, which will start with Yoga wellness morning with renowned instructor, Louise Lee. There will be a sunset happy hour with overflowing coconut water, and a chill out party to cap off the night, all happening at the beachfront of Obama Grill. Perk up the summer months with Toshiba’s “Easter Bundle” promotion featuring the brand’s latest line of notebook PC products. Customer gets a variety of free items that goes with their every purchase of selected Toshiba notebook PC products like Toshiba Canvio Basic 500GB External Hard Disk Drive, D-Link Wireless-N300 Cloud Router and gift vouchers worth up to Php 2,000 which can be used to select a choice of freebies or accessories inside a participating Toshiba store for free. Hurry! Avail of this exciting Easter offer only from Toshiba. Visit Toshiba Concept Stores located at SM Megamall, SM North Edsa, SM Pampanga, SM Sta. Rosa, SM City Cebu and Abreeza Mall Davao and other participating retail shops nationwide. Offer is good until April 9, 2013 only. 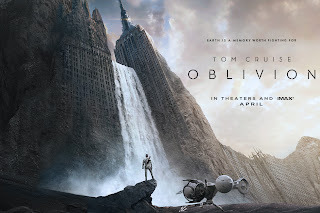 OBLIVION : a cinematic event, a journey of redemption and discovery as one man battles to save mankind. In 2073, a 37 year-old former-Marine Commander Jack Harper (Tom Cruise) is one of the last few drone repairmen stationed at Earth which was nearly destroyed by an alien invasion 60 years ago. As part of a massive operation to extract the planet's remaining vital resources, he lives in an airborne "town" floating thousands of meters above the Earth. His mission nearly complete, Jack's soaring existence comes crashing down when he rescues a 22 year-old female stranger from a downed spacecraft. Her arrival triggers a series of events that forces Jack to question everything he knows about the war and its aftermath. 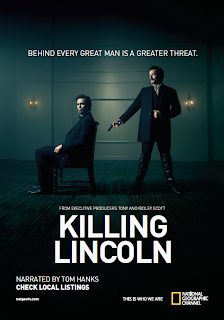 In addition, after being captured by an insurgency led by 102 year-old Malcolm Beech (Morgan Freeman), Jack is told that the society in which he lives may in fact be a police state. Coffee lovers rejoice! As the Vietnamese Coffee brand Highlands Coffee is expanding their business here in the Philippines, they are also on a roll with opening new stand alone branches in key areas in Metro Manila, and today they have opened a new branch in the busy Ortigas district which is also a big market for coffee shops. Highlands Coffee opened its first store in Lucky Chinatown Mall with Netopia and have partnered with different stores and restaurants. They also have opened stand alone store like the one in E. Rodriguez near St. Lukes Medical Center. And the latest one opened with Eton Emerald in Ortigas. Iconic and multi-platinum-selling band Rivermaya makes a local recording scene comeback with the much-awaited release of their album Panatang Makabanda, under Universal Records. The album is their first in four years and their first with Universal Records. Rivermaya is now composed of Mark Escueta, Norby David, Mike Elgar and Ryan Peralta. 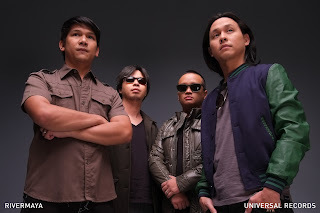 Rivermaya joins the label’s elite roster of bands – Parokya Ni Edgar, Kamikazee, Sponge Cola, Calla Lily, among others. Are you in love with your officemate – or worse – your boss? Then you have a potentially big problem. But don’t worry, comedian and TV host Ramon Bautista might have a solution to your predicament. After his “Tales from the Friend Zone” video series became popular on video sharing website, YouTube, Bautista recently released a new video series tackling a different relationship issue. While the first series dealt with problems that occur when courtship goes south and ends in an awkward state of being “just friends” or “friend zone,” the new web series deals with the woes of office romances. We all know hims as the "Nestea Guy" who is a quest to win the heart of the girl he loves with the help of his family and iced tea. He also appeared in a Cookie sandwich commercial as a student with his friends But Neil Coleta proves that he not all looks and "Papogi" moves but also an actor to watch out for. He is now starting to be a household name and going beyond just being a commercial model. He is usually seen as a comedic character in teleseryes and even in commercials, but he also proves that he can do more than being funny by being part of the musical movie "I Do Bidoo". He is also now the sidekick of Coco Martin in Juan Dela Cruz as his best friend in the series. His efforts were rewarded recently with his newest endorsements and also the Star Award for Movies as the Best New Actor Award. He still proves that hard work has its fruits and now he also have Chicken and Baboy. After doing mostly light and oftentimes comedic roles, singer-host-actress Jolina Magdangal is shifting gears and is set to do heavy drama in GMA’s upcoming primetime series “Mundo Mo’y Akin,” which will replace “Pahiram ng Sandali” this month. “Yes, I’m ready,” replied Jolina when asked about how prepared she is for her pivotal role in the series. Jolina will play the character of Zenaida “Aida” Carbonel, the keeper of the secret behind the real identities of the lead characters portrayed by Louise delos Reyes and new kapuso Lauren Young. This March, 15 students have finally reached their goal of graduating this school year which belongs to the family who are part of NMPP (Nagkakaisang Mangagawa ng Pelikulang Pilipino) which is group of people who work for the movie industry. Senatoriable Miguel "Migz" Zubiri has been a loyal supporter for the people in the industry and is a fan of Pinoy movies. 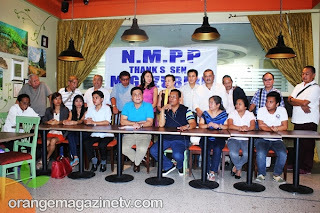 Migz Zubiri shares that even on his term as senator, made this project in support to the people of NMPP where families are dependent on local movie projects. Future projects Includes a planned housing project and more scholars under the project. He shares that he was able to get to know more about them through directors whom he have worked with like Joel Lamangan who is the president of the NMPP. The long wait is over as the first (impromptu) episode of OKRA SOUP has now been uploaded and with the pilot episode graced with a fresh new artist of PolyEast Records Isabelle De Leon. We had a fun jamming time with this sweet rock-chic along with fellow bloggers Jing, Sire, and Myrna! 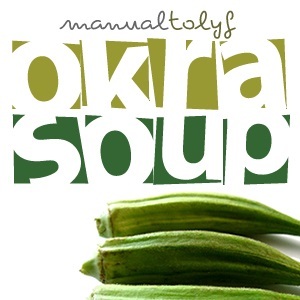 Okra Soup is part of Manual To Lyf's offering for 2013 providing live videos which people will see live experiences and sometimes live celebrities! Well Okra Soup has been in the planning and teasing process since 2011, but the only thing we had were teasers featuring Kim Chui, Richard Yap, and Xian Lim! Episode two is now in the works and of course, will have more improvements (just to get the ball rolling) and hopefully soon a trending show and topic on twitter, which you can also do to help with the hashtag #OkraSoup. You can send us feedback and your messages which would be read in the next episode! So tweet away! In previous interviews, former Rivermaya frontman Jason Fernandez admitted being abandoned by his Cypriot father at a young age. In fact, after his stint in the band, he flew to Cyprus to meet his father. This Holy Week, Jason was tapped by CBN Asia to be one of the lead stars of their Good Friday presentation – Tanikala presents Ama Namin, which also stars Mike Tan, Diva Montalba, and Tricia Amper. 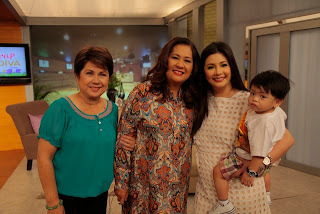 It will air this March 29, 5 p.m., on GMA 7. Its time for a prehistoric fun time with Dreamworks newest animation offering for 2013, The Croods. This is the story of the prehistoric family of the Croods, which includes Eep (Emma Stone), a girl in a family of cavemen living in pre-historic times, talking about how her family is one of the few to survive nearby, mainly due to the strict rules of her father, Grug (Nicolas Cage) and his wife Ugga (Catherine Keener), daughter Sandy, son Thunk (Clark Duke), and his mother-in-law (Cloris Leachman), which were used in living in a cave all of their lives but when seismic events destroys their home, they now embark on a journey of finding a new home. They would also encounter a new guy named Guy (Ryan Reynolds) and his pet Belt. The movie comes in 3D and is actually a visual feast . I also liked the Owl City track featured in the movie. Kids will definitely love this movie because of the humor and also values which they can learn from the characters. Ladies Celebrate Women's Month This March at SM! 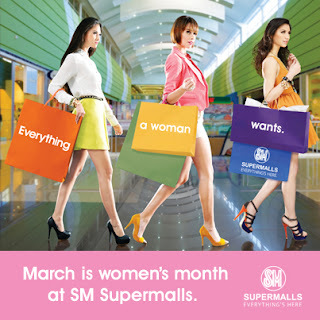 March is known to be Women's Month and its actually a great time for ladies to go out and exercise their right to shop! And SM will give a treat for women on Wednesdays of the month! May it be sale season or not, SM malls definitely makes this moth exciting for you and your retail theraphy with these discounts you can avail from SM stores! If they would go to Watsons for beauty, health and personal finds, all women will instantly get 10-percent off on minimum P1,500 worth of purchase. Ladies can also be tough when they shop at Ace Hardware where they can get 5-percent less on every P3,000 single receipt purchase on all regular priced items. In Our Home, where you can find items which can make your home beautiful and organized, they can get 5-percent off for a minimum P15,000 purchase on all furniture, ladies can also avail of 10-percent discount on all accessories for a minimum purchase of P5,000. The Australian Catholic University (ACU) Manila has announced that it is offering full and partial scholarships this coming school year. Based on academic merit and talent, the “Esteban Scholarship Awards” will provide one full scholarship, two 50% scholarships and ten 20% scholarships. A full scholarship is valued at AUD 5,200 or PHP 246,000 per year. All scholarships are offered for the entire 3-year program in Manila. 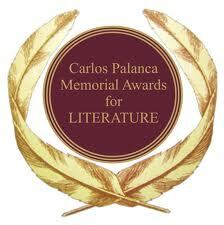 Now on its 63rd year, the country’s premier and longest-running literary contest, the Carlos Palanca Memorial Awards for Literature or Palanca Awards, has once more opened its doors to both amateur and seasoned writers who wish to showcase their talent in crafting beautiful literature. * English Division – Short Story, Short Story for Children, Essay, Poetry, Poetry for Children, One-act Play, and Full-length Play; * Filipino Division – Maikling Kuwento, Maikling Kuwentong Pambata, Sanaysay, Tula, Tulang Pambata, Dulang May Isang Yugto, Dulang Ganap ang Haba, and Dulang Pampelikula; * Regional Languages Division – Short Story-Cebuano, Short Story-Hiligaynon and Short Story-Iluko. Mobile news consumers who missed GMA news on TV can now see it on the go. An updated version of the GMA News mobile application for iOS now offers video clips from GMA News programs. The app is available for free download on the Apple App Store. 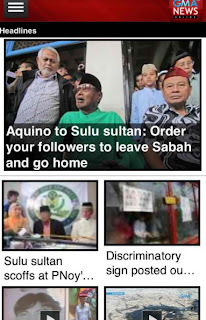 GMA News Online v 2.0 for iPhone, iPad, and iPod enables users to customize its content by choosing which sections of the website will appear on the app. It also features an option to display 10 or 15 articles from each section. “We just want to be where news consumers are going. Our improved app combines two exploding trends – mobile and online video,” GMA News Online editor-in-chief and GMA Network VP for Multimedia Journalism Howie Severino said. He explained that only selected GMA news videos will be viewable on mobile initially, but the volume of video content will eventually increase. The gastronomic journey is endless, yet its more delicious than the glutton's destination. This has been my motto for food which makes me love food a lot, and to be part of something cool about food is always a green light for me. This is why I participated in different eating contest in the past to see, if my digestive system is prepped up for the job. 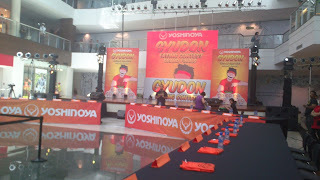 Yoshinoya's Gyudon Eating Contest this year gave me an opportunity to much on my favorite Japanese dish, the Gyudon and recently I won in the media challenge along with the 28 weekly winners from different branches which one of them took home 100,000 pesos. A follow-up to the 2009 worldwide blockbuster G.I. JOE: THE RISE OF COBRA, which grossed over $300 million worldwide, In GI JOE: RETALIATION, the team is not only fighting their mortal enemy COBRA, but they are forced to contend with threats from within the government that jeopardize their very existence. 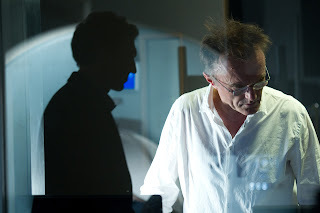 Converting the film into 3D takes the movie to a whole new level and brings the audience even closer to the non-stop action. G.I. JOE RETALIATION hits theaters in RealD 3D & Digital 3D. The G.I. JOE mythology runs deep and has a pantheon of characters to draw from, each with their own back-story, nuances and characteristics. When approaching the sequel, the filmmakers wanted to build on the best elements and storylines from the first film and carry those through to the second installment while simultaneously creating a new identity and feel. This offered the opportunity to introduce new characters from the mythology to the franchise. GMA Network’s compelling drama on love and relationships, PAHIRAM NG SANDALI, concludes its run with a touching finale this Friday, March 15. The series, which is under the helm of award-winning Director Maryo J. Delos Reyes, featured a formidable cast headlined by Ms Lorna Tolentino, Christopher de Leon, Mark Gil, Alessandra de Rossi, Max Collins, Neil Ryan Sese, and Dingdong Dantes. As the program wraps up this Friday, will Cindy (Max) finally forgive Janice (Lorna)? Will the mother and daughter seek the path of reconciliation in the end? What will be Cindy’s reaction if she finds out about Alex’s condition? Will Cindy’s heart soften and give Alex another chance at love or be a father to her child? Pahiram ng Sandali airs after Indio on GMA Telebabad. I love going to malls as I love to roam around them and find anything new and interesting. Even if the metro is already filled with many super malls, I still want to see what new malls can offer. And this year a new mall will open that is not owned by y the major mall companies but will offer one of a kind and fun amenities, it is Fisher Mall which is expected to open at the last quarter of the year. The mall is on the construction phase and is located along Quezon Ave in the lot where Pantranco used to be which is actually a very strategic point because of the traffic from Roosevelt, Roces Avenue , and Quezon Ave. Family-owned and pays homage to the family business of fishing, thus the name. Kapuso actor Aljur Abrenica shows off his godly physique and acting prowess in GMA’s primetime series Indio as he portrays the character of Bagandi, a datu of a small banwa. According to the actor, he underwent workshops and physical trainings for the role. “Pinaghandaan ko talaga ang role ko dito sa Indio saka sumailalim rin ako sa workshops dahil kailangang makipagsabayan ako sa mga malalaking artista na bahagi nitong napakalaking programa na Indio” he adds. Who is Bagandi in Simeon’s life? Will he be a friend or a foe? Find out on INDIO, weeknights, after 24 Oras on GMA. Quality, beauty, functionality, and completeness are the words used by the owners of the Mallers Management Corporation to describe its 114k square meter mall development project that will soon rise in Quezon City – the Fisher Mall. Designed with comfort and convenience in mind, the Fisher Mall is pure shopping bliss. However, there’s more to Fishermall than meets the eye! The structural integrity of the building, its aesthetics and support system are all meticulously designed by the renowned Architect Felino Palafox to ensure a pleasurable shopping experience from ground level all the way to the top floor. 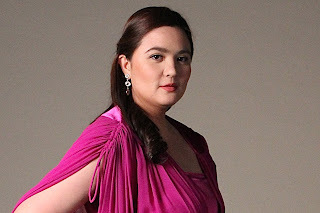 I would still remember Isabella "Duday" De Leon from the GMA series "Daddy Di Do Du" where the lovable bunso of the family is seen along with Vic Sotto, Maxine Magalona, and Ciara Sotto and has been a household name throughout the years. She is now 18 years old (how time flies!) and is now releasing her debut album under PolyEast Record titled LoveZone. However we have not seen her in any major series or film but actually she is harnessing her true talent which is singing. And she is still in the showbiz industry by working on gigs and roles in indie movies. She is still a student, but her love for music has grown and is now composing a lot of songs about love, life and many more. Here’s great news for travellers! Southeast Asian Airlines, Inc. (SEAIR), in partnership with Tiger Airways, announced that it is offering PHP 99 fares for all its domestic destinations. The special rates are for booking on March 12-13, 2013 for travel on October 1 to November 30, 2013. To avail of the promo, passengers must book their tickets at www.tigerairways.com. The airline offers flights from Ninoy Aquino International Airport (NAIA) Terminal 4 to Cebu, Davao, Tacloban, Iloilo, Puerto Princesa, and Bacolod. It flies to Boracay (via Kalibo) from both Clark and Manila. SEAIR has also recently announced that it will start flying from Manila to Laoag on April 4, 2013. 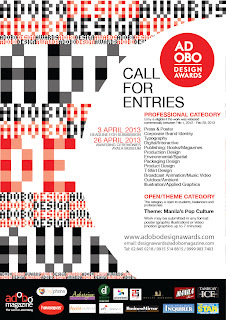 Adobo Design Awards 2013 Call For Entries! Since being introduced in 2007, the Adobo Design Awards has sought to champion the Philippines' best in design and to recognize the talents behind the work. Now on its fourth year, the competition, organized by adobo magazine - the country's premier advertising and brand communications publication - is championing a search for the most creative work with a purpose. The Professional Category is open to creative professionals, Philippine or foreign-based companies and individuals. Entries in this category vie for individual category awards for each format, with as many gold, silver and bronze winners as there are deserving. Best in Show winners are then selected from all gold winners, regardless of format but based on their stated purpose: "Design for a Purpose" or "Design for Good". 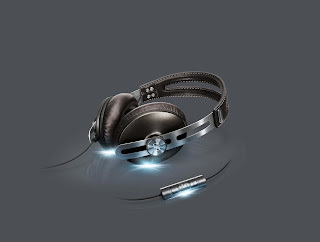 The IE 800 headphones from Sennheiser are the ones with the most innovations per square millimetre. 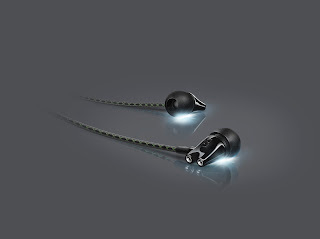 And for precisely that reason, these small in-ear earphones can certainly compete with much larger high-end headphones. They are brimming with groundbreaking ideas to ensure that audiophile music lovers can get as close as possible to perfect sound even when they’re on the move. Perfect sound can be heard, felt and seen: the new MOMENTUM from Sennheiser’s Style Selection combines an excellent sound experience with high-quality material and minimalist style. The new headphones are the right choice for anyone unwilling to compromise on sound quality and style. The MOMENTUM is part of Sennheiser’s Style Selection. Its minimalist design resolutely cuts out superfluities, making the headphones appear understated and timeless, yet at the same time stylishly urban.